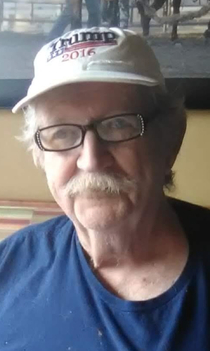 Obituary for Robert Alfred Brown | Crandall Funeral Home Inc.
Robert Alfred Brown, 72, passed away at his home in Lyman Wy. On July 15, 2018. He was born on February 5, 1946 in Salt Lake City, Utah to Albert Henry and Lila Hamilton (Wilson) Brown. On February 18, 1966 he married Pamela Jeanne Hoopes in Salt Lake City, Utah. He served his country in the Army. At one time he was on the honor guard for fallen soldiers during the Viet Nam War. Bob enjoyed hunting, fishing, and camping with his family. He was a youth baseball coach. He also loved Yankee baseball, Colts football, and Jazz basketball. He is survived by his loving wife, Pamela; children, Robert (Jeanette) Brown of Lyman; Jack (Keli) Brown, of Mt. View; Jody Brown and (Bill Gorton) and Cory (Toni) Brown both of Evanston. Also 17 grandchildren 13 great grandchildren and his “fur babies”, Duke, Meg, and Moochy. His brother Jack Brown of Murry Utah; and his sister Connie Howard of West Jordan, Utah also survive him. He is preceded in death by his parents, Albert and Lila Brown and two brothers, William Brown and Leonard Willden. Funeral service will be in the American Legion Hall in Fort Bridger, Wyoming on Thursday, July 19, 2018 at 2:00 p.m. Viewing will be at the Legion hall one hour prior to the service. Interment will be in the Lyman Cemetery, Lyman Wyoming.